The central aim of the study was to examine the relationship between primary school teachers’ life goals and life satisfaction using the self-determination theory (Deci and Ryan 2000) and the flow theory (Csikszentmihalyi 1975) as a framework. 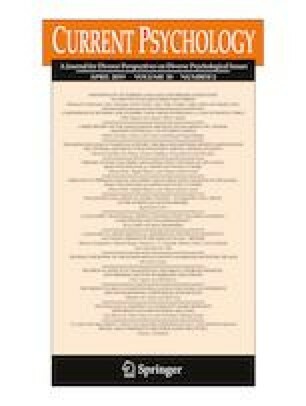 A study was conducted to test whether the relationship between intrinsic life goals and teachers’ life satisfaction is mediated by two serially posited mediators, the satisfaction of each basic psychological need (competence, autonomy and relatedness) and the experience of flow at work. A total of 480 primary school teachers (17 years of work experience on average) from different regions of Croatia participated in the study. The results, obtained by structural equation modeling, showed that only the need for competence and flow at work significantly mediate between intrinsic life goals and life satisfaction (β = .04, p < .001). The needs for autonomy and relatedness were not significant mediators when used as serial mediators. Thus, the study provides evidence that the positive relationship between life goals and life satisfaction is partly due to the increased satisfaction of the need for competence and more frequent flow experience at work. Also, the indirect effect of extrinsic goals on life satisfaction (β = −.024, p < .01) through autonomy and flow work was tested and found to be significant. The original version of this article was revised: The name of the last author, Tajana Ljubin Golub, was incorrectly captured with two given names (Tajana Ljubin) and one family name (Golub). The correct name of the author should have one given name (Tajana) and two family names (Ljubin Golub). An erratum to this article is available online at https://doi.org/10.1007/s12144-017-9622-8. This work received no grants or assistance from a funding body. All procedures performed were in accordance with the ethical standards of the institutional and/or national research committee and with the 1964 Helsinki declaration and its later amendments or comparable ethical standards. All of the authors declare that they have no conflicts of interest. Briner, R. B., & Dewberry, C. (2007). Staff well-being is key to school success: A research study into the links between staff well-being and school performance. Worklife support. http://worklifesupport.com/sites/default/files/uploaded-documents/5902BirkbeckWBPerfSummaryFinal.pdf.